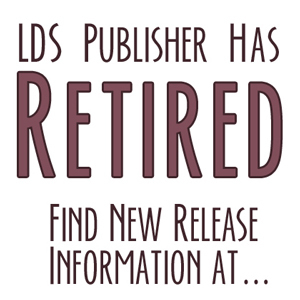 Fiction titles by LDS authors published in 2009. Click HERE to see this list sorted by title. It seem so hard to believe that some of these books were published this year. It seems like it was a life time ago. Books that I think should be added to the list. Low, Dene (pen name of Laura Card). Petronella Saves Nearly Everyone: The Entomological Tales of Augustus T. Percival. Houghton Mifflin, June. Children's fiction, first novel. Card is open in all the pr stuff about using the pen name. Card, Orson Scott. Hidden Empire. Empire, v. 2. Tor, Dec. You have a page up for this book, it just did not make the list. Evans, Richard Paul. The Christmas List. Simon & Schuster, Oct. NYT Hardcover Bestseller, Oct. 16, #12. Peck, Steven L. A Short Stay in Hell . Lulu (self-published), 2009. Peck is a BYU professor. Rowley, M’Lin (Melissa). Knights of the Right: The Falcon Shield. Shadow Mountain, Sept. Knights of the Right: The Silver Coat. Shadow Mountain, Sept. Here are some more, Christmas books, I got from Jennie Hansen's review on Meridian Magazine. Thanks, Andrew. I've got most of the posted. I didn't add the shorter Christmas books. This list started as a way to feature full-length novels, although it is morphing into something a bit more. Two more 2009 novels that I was told about after I did my year-in-review. Correia, Larry. Monster Hunter International. Baen, July. Blackwater type company fights against shape-shifting monsters. Despain, Bree. The Dark Divine. EgmontUSA, Dec.